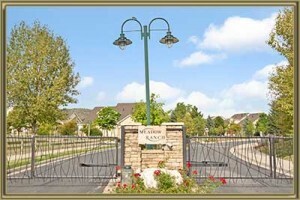 Meadow Ranch is a gated, covenant-controlled community that flanks the Deer Creek Golf Club, an 18-hole semi-private golf course, and the Ken Caryl Ranch community along the fringe of the Front Range Foothills in southwest Littleton near the intersection of C-470 and S Kipling Pkwy. Meadow Ranch has a Littleton postal code (80127), but is part of unincorporated Jefferson County. Accordingly, policing is provided by the Jeffco Sheriff's Office, which maintains a South Jeffco Office less than 1 mile from Meadow Ranch. The 210 homes in Meadow Ranch were developed between 1999 through 2002 with builders including Genesee Builders, Sheffield Homes and D.R. Horton, Inc. You will find mostly 2-story homes with a few ranch that have 2,200 – 5,000 finished square feet of living space with all including basements but only a few have walk-outs. Lots are 7,000 to 12,000 square feet with 2-3 car garages and large decks that overlook the golf course or mountains. See what your home is worth With an Instant Home Valuation Online. Want advice on selling your house? We provide a free staging consultation, pre-listing prep plan, and a Meadow Ranch real estate market analysis. Call us at 303-325-5690 to learn more. New to the Area? Call our Meadow Ranch real estate agent at 303-325-5690 to schedule your tour of Homes in Littleton CO.